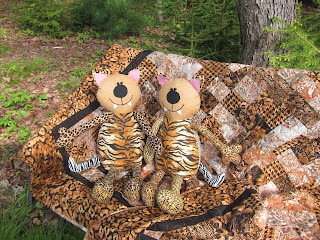 I have collected animal prints for a long time, I have made a few things with them including Snappy Slippers & Travel Bag, but still have lots of these fabrics. 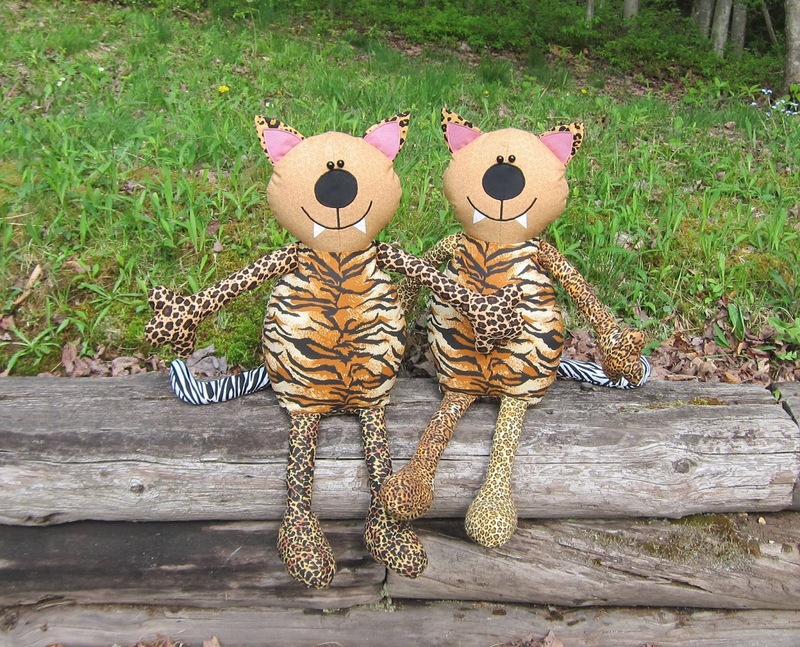 So, I decided to make a couple of Cool Cat Pajma Bags. 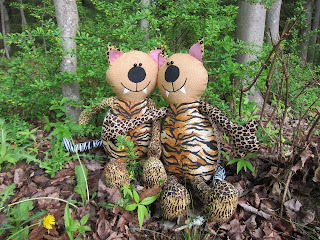 They turned out very cute, quite wild! 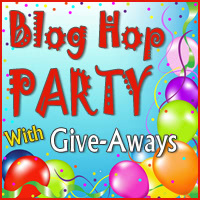 Here are some photos for you. 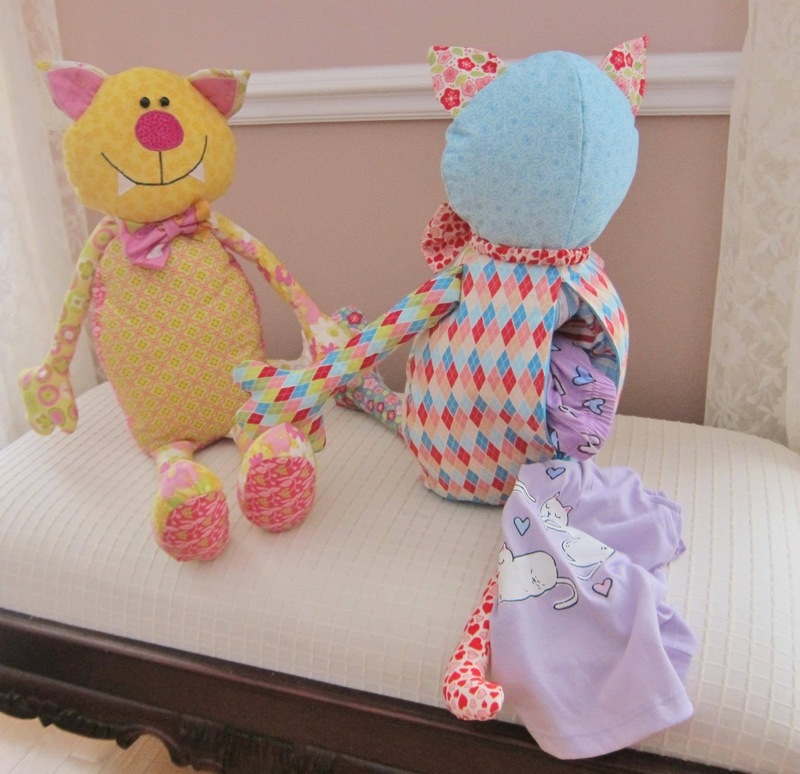 This is the newest pattern from Cool Cat Creations, it is a pajama bag and has a zippered pocket in the back that can hold the jammies. 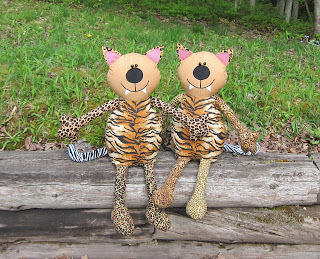 The cats are big, they are 24 1/2" long from the top of their head to the heel and sit up nicely, they look great sitting on a bed. 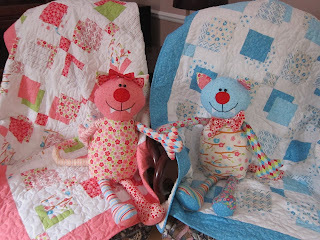 The quilt pattern in the photos is my Easy Peasy quilt, pattern also by Cool Cat Creations. My newest pattern is for a pajama bag, something that has not been around for a long time. I had one when I was a child, well into my teens! I loved it, a dog that layed on his belly and held the jammies until the evening when I got ready for bed. 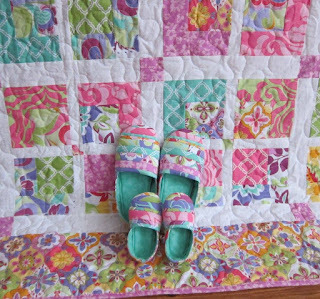 Well, since I am getting a little grand daughter this fall, I was thinking about my pajama bag and thought it was time to bring them back! 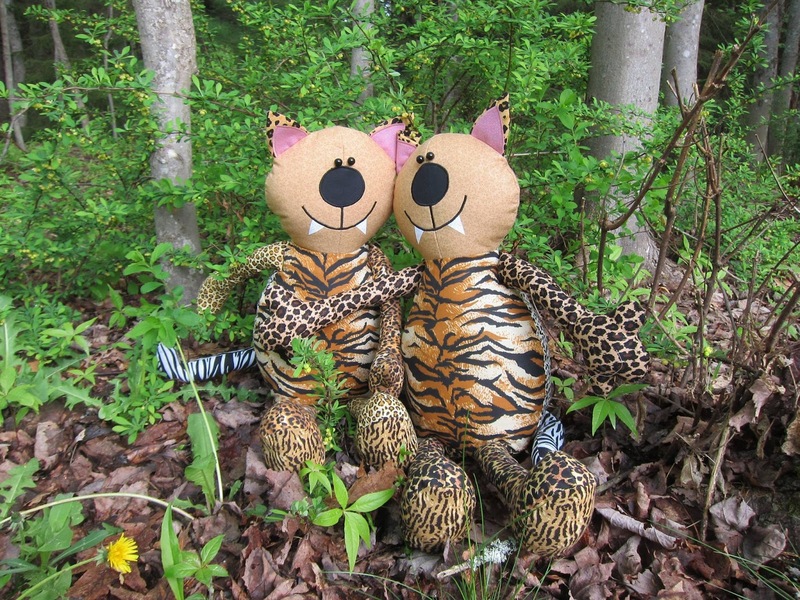 Well, you know I like cats, so Cool Cat Pajama Bag was born! 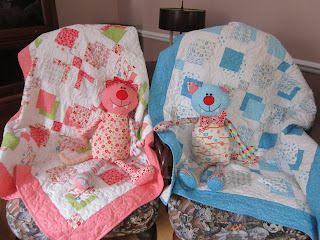 They are fun to make and can be made to match any quilt that you make, a bonus gift! My twin nieces are both expecting soon as well as my daughter, so I did make them the matching baby quilts and Cool Cat Pajama Bags. 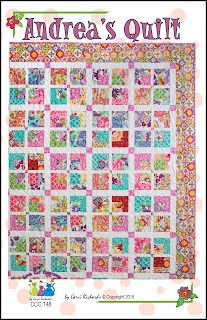 The quilt pattern is one of my newest patterns called Shadow Dance. Hope you like my new kitties! 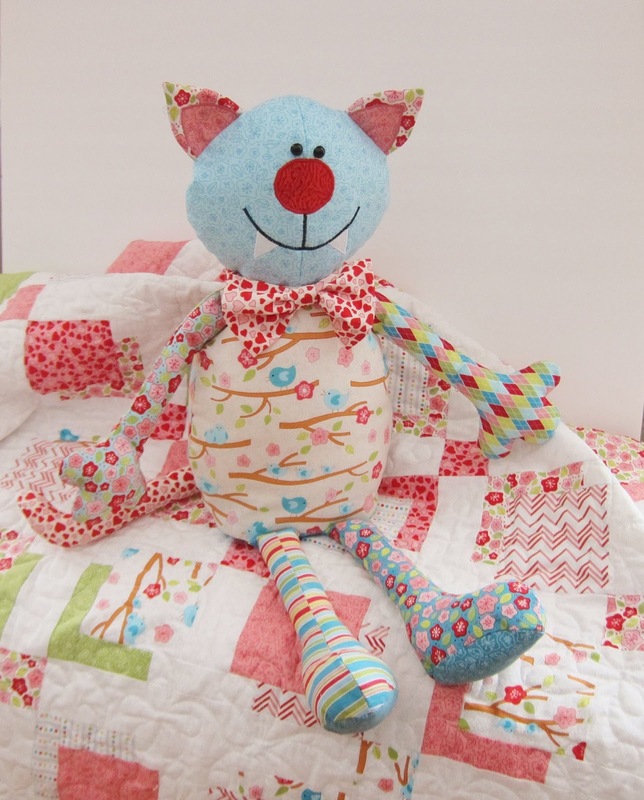 New Quilt Pattern from Cool Cat Creations. This is my newest design, a quilt. I made this quilt for Christmas this year for my daughter, Andrea. 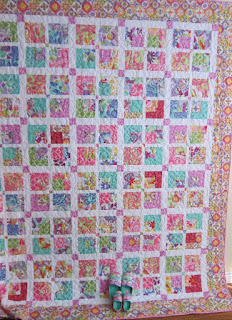 So, I decided to name the pattern Andrea's Quilt. The instructions call for fat quarters and has instructions for all sizes from lap to king. 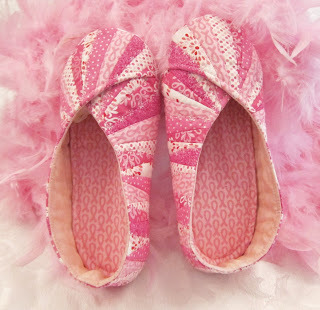 More about the matching slippers in a future post. 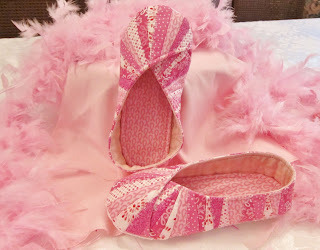 It is breast cancer awareness month so I decided to make these Snappy Slippers in breast cancer fabrics. 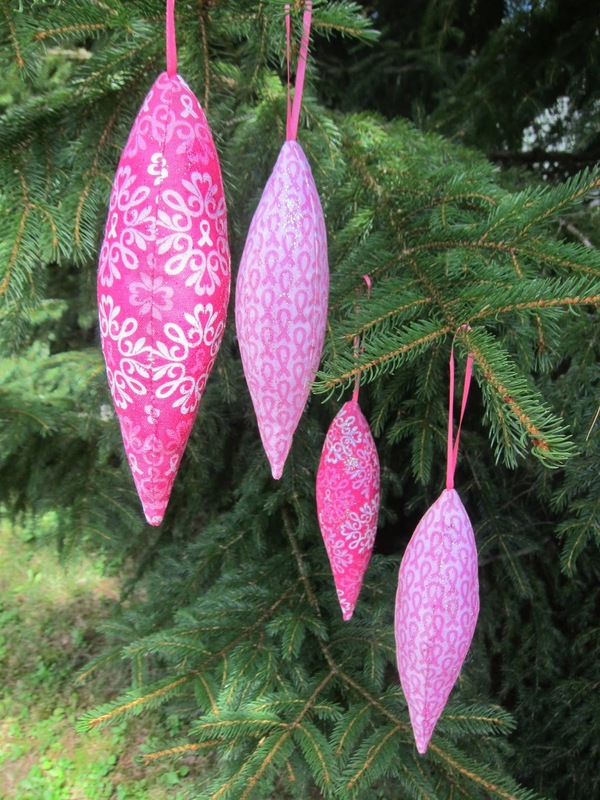 I will give them to a group doing a breast cancer fund raiser. I did not make the matching bag yet, but I probably will. 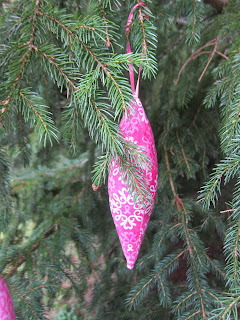 The breast cancer fabrics are very pretty, I even made some of my Heirloom Ornaments in them. These slippers would be a nice gift for someone going through treatments. These bags are fun, fast and easy to make! The bag is made using 1 charm pack, how fun is that? Everyone has charm packs, or bali snaps they have collected. 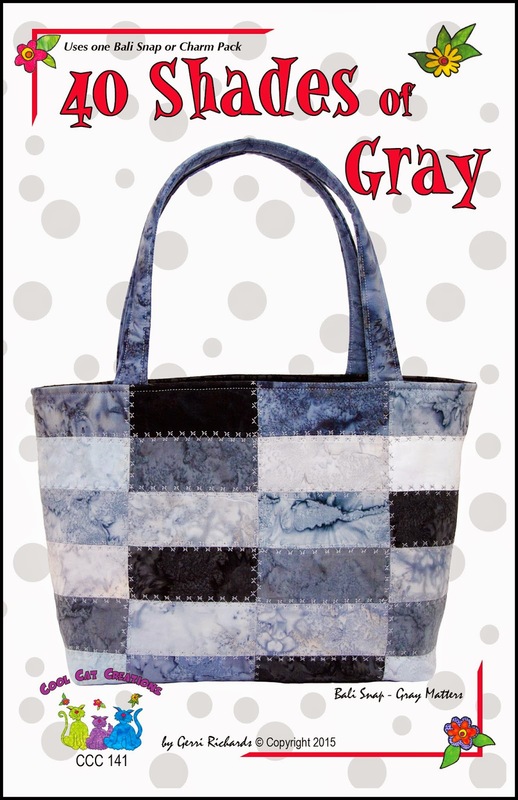 This bag would make a great bag to carry to the beach this summer, or a great gift to make for Mother's Day. Here is my newest pattern, 40 Shades of Grey! The cover bag is made using a Bali Snap ( 40 - 5" squares) called Grey Matters from Hoffman California Fabrics. All 40 squares are used in the bag, even for the inside pockets, there are two, one on either side of the lining. The bag is a great size to carry everything you need, it is even great to take to the beach on those warm summer days. The bag is 12" high, x 17" long (at the top) , x 5" deep. 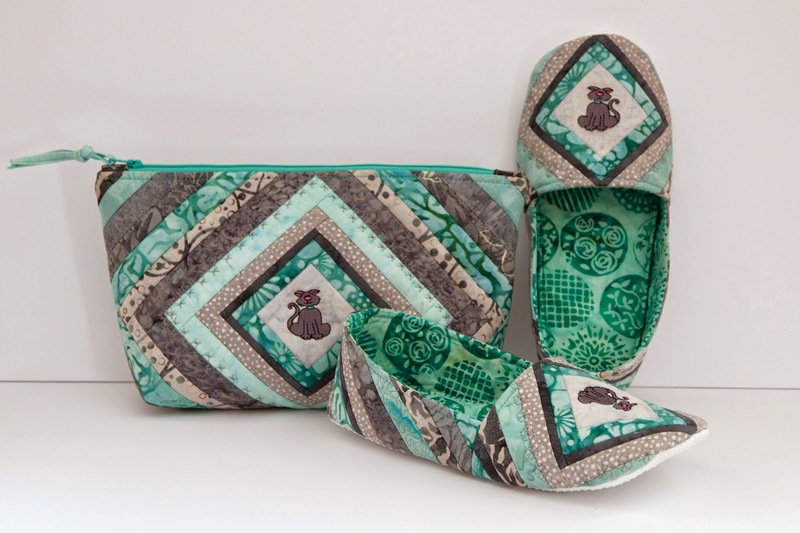 I have a new pattern out, this one is called Mama Bear Slippers & Cosmetic Bag. This set has many options, you can embroider the centers, use up those cute buttons you have been collecting, or use a great fabric which you can fussy cut. Four free embroidery downloads come with the pattern for those of you that have an embroidery machine, or those of you that have a friend that will embroider for you. 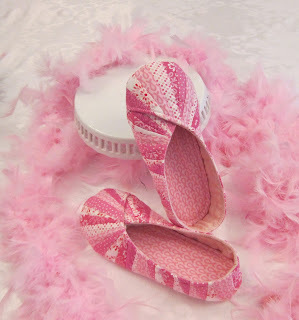 They are just as cute with decorative buttons or just cute fabric. The pattern uses strips from a Bali Pop, or your scraps of course! The pattern has full sized templates for ladies sizes 5 - 12. It is available now on my etsy shop, here is a link to it. This is my latest pattern, people have been asking for a children's pattern and it is finally here! 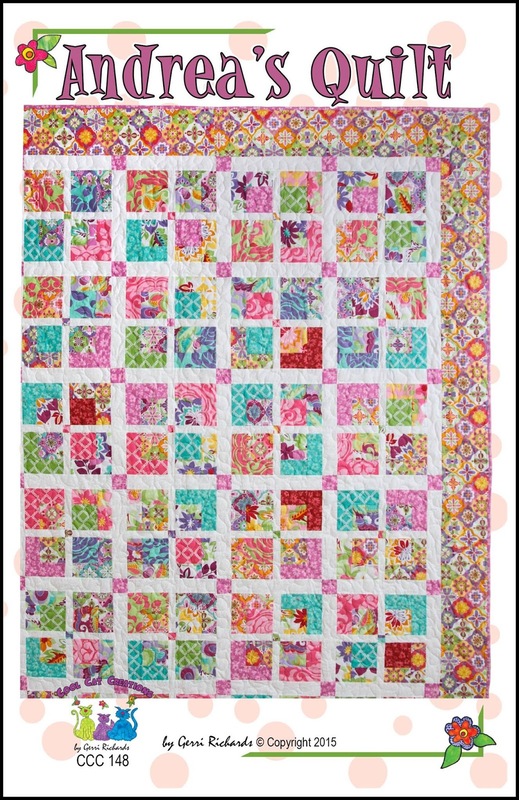 The pattern is designed using a Bali Snap, or a Charm Pack, that is 40 - 5" squares of fabric. You will get the bag and the slippers with 1 charm pack. On the very little sizes you can probably get 2 pair of slippers and the bag. 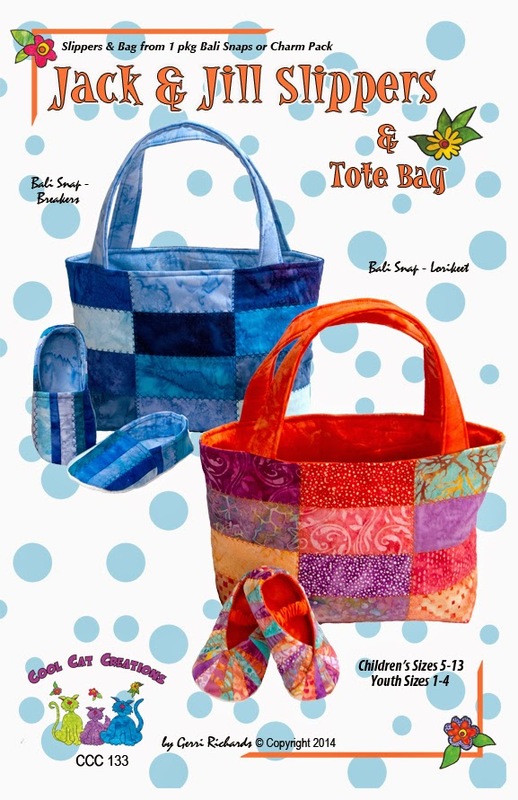 The pattern has full sized templates for 2 styles, boy's and girl's in sizes children's 5 - 13 and in youth's sizes 1 - 4, plus the instructions for the bag. This would be a great little set to take to Grandma's house for the weekend! 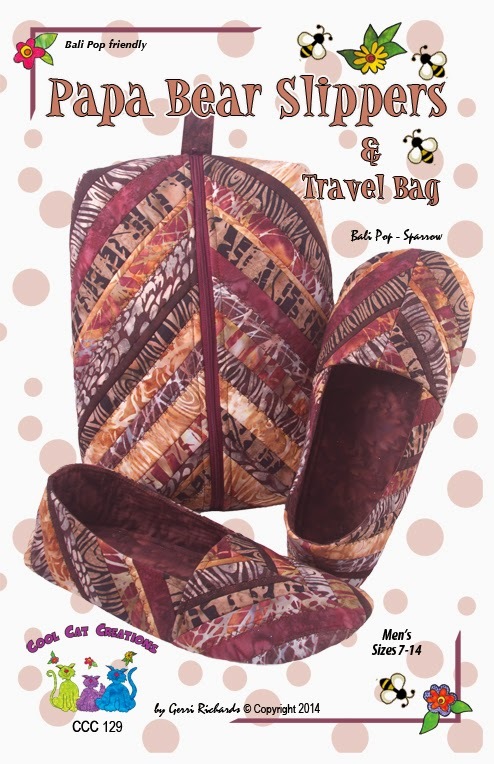 Here is the newest slipper pattern, Papa Bear Slippers & Travel Bag. These slippers are for the man in your life, your husband, brother, son, or just a friend. The pattern has full-sized templates for men's sizes 7-14. 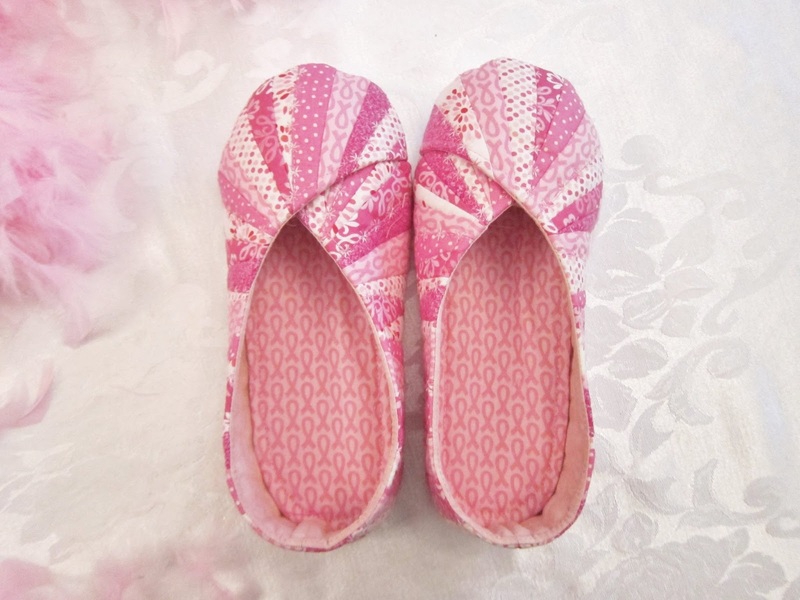 The slippers have removable insoles and a slipper gripper fabric on the bottom. The men's and the lady's slippers are made using a foam interfacing as the foundation, and the foam interfacing in the insoles as well. This makes them a little thicker, but very light weight. 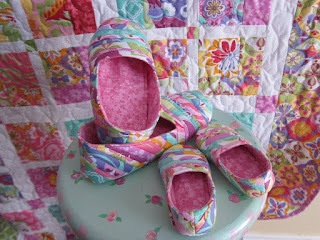 The foam is easy to use and sews up fantastic. 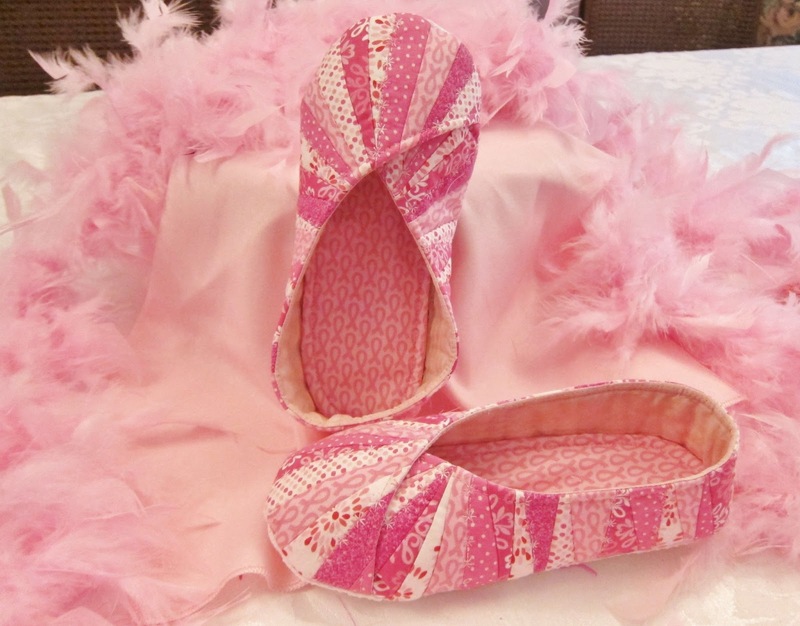 The bag can be used to carry the slippers in, or can be used as a shaving kit. 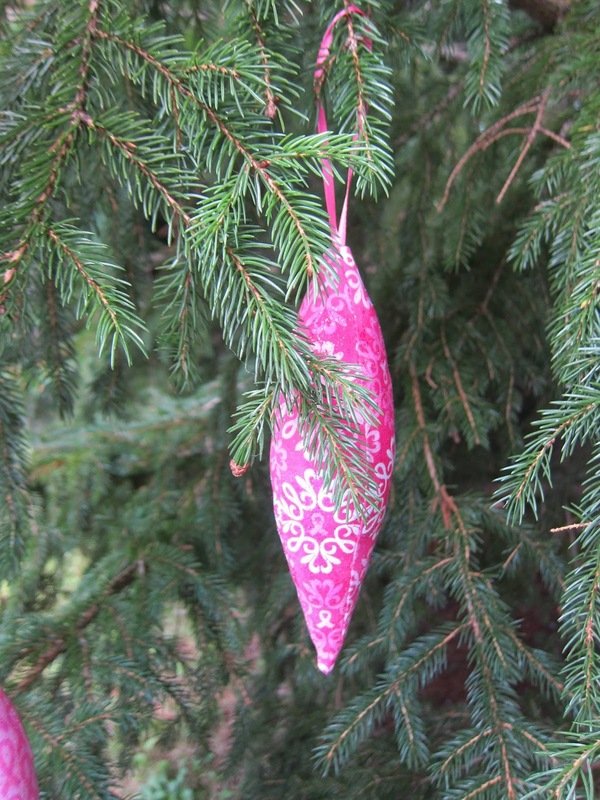 The pattern is designed to use a Bali Pop, or Jelly Roll. You can get 2 or 3 sets from 1 roll, depending on what size you are making. For those that do not have a pre-cut, you can use scrap strips. I am a pattern designer, my patterns are under the name of Cool Cat Creations. Yes, I do love cats and have 4 of them. 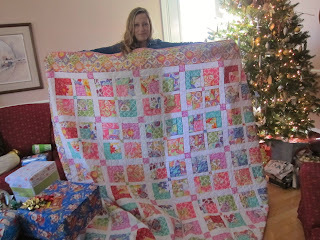 I was always interested in quilting but drawing, painting and making clothing got in the way. I took a beginner course about 11 years ago, I had already studied tailoring and pattern drafting, then started teaching. 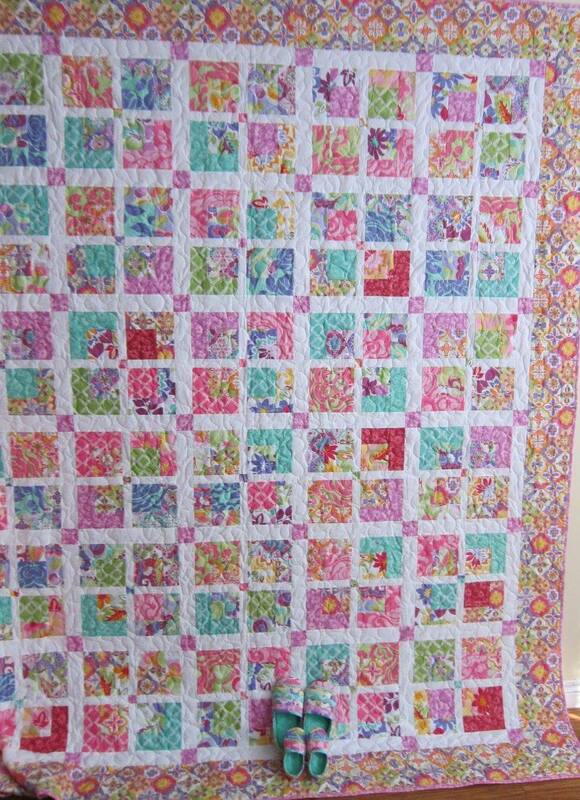 I still teach quilting classes, love it. 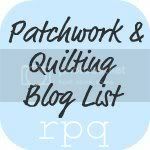 I started the pattern business about 3 years ago.